I'm pretty much crazy for French skincare and for me Escentual is usually the best place to find it. A few weeks back they were offering 25% off all orders, so of course I couldn't resist. I firstly picked up a product from a brand I adore, La Roche-Posay. My skin loves all of the products I've tried and I just can't get enough of the Effeclar Duo (actual miracle worker, but that's another story). I've been running low on my Serozinc toner for a little while, and although I love it, it's pretty hard to get hold of and I'm not sure that I need it that much in my life. As an alternative I picked up the mini version of the Thermal Spring Water for Sensitive Skin. I went with the travel size so I could give this a whirl and at £3.50, I haven't lost out if I hate it. The other item I added to my basket was quite random. 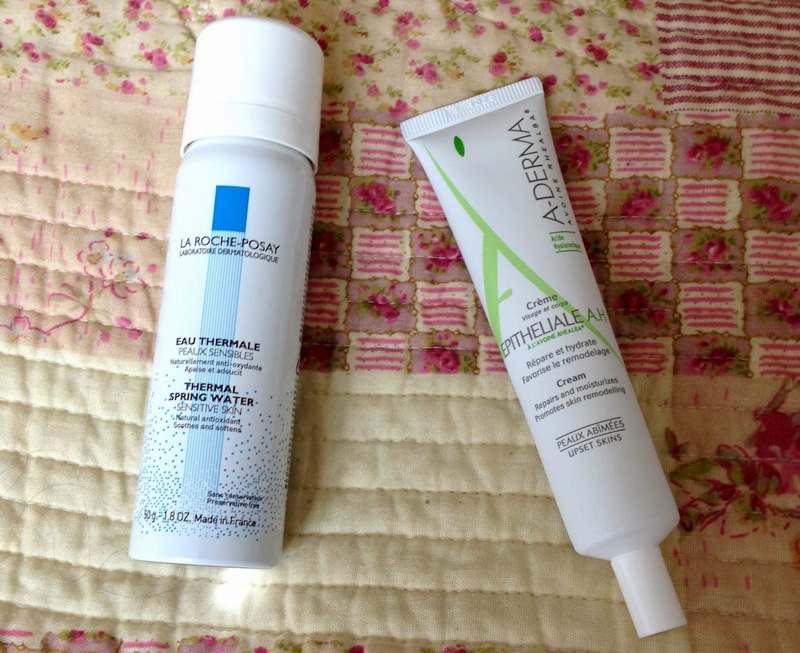 I was flicking through the pages of French skincare and came across A-Derma, which is a new brand to me. My REN moisturiser is just coming to the end and I really wanted to try something new, and after spotting the Epitheliale A.H. on a whim, I thought I'd give it a go. This is in the perfect packaging for me, for some reason I love a good old tube, however the nozzle is pretty small so it takes some amount of squeezing. As a facial moisturiser this isn't the best as it's quite sticky, but it's marketed as a 'repair' cream, it does a pretty good job of healing scarring from breakouts. I do get small patches of psoriasis and this seems to be giving them a helping hand too. If you suffer from skin complaints of any sort, give this a go and for £5.60 you can't really go wrong. I love La Roche Posay products, for me it's a hero brand. The thermal water and serozinc are very different products though, thermal water doesn't really have that many toning properties. It is however, very refreshing and a handbag staple.